Jennifer Leann Carpenter (born December 7, 1979) is an American actress. She is known for playing Debra Morgan, the adoptive sister of the title character of the Showtime series Dexter , for which she earned a Saturn Award in 2009, and also for playing Rebecca Harris in the CBS television series Limitless . Debra Morgan is a fictional character created by Jeff Lindsay for his Dexter book series. She also appears in the television series, based on Lindsay's books, portrayed by Jennifer Carpenter. In Lindsay's novels, she first appeared in Darkly Dreaming Dexter, and was featured in every novel in the series. Dexter Morgan is a fictional character and the antihero of the Dexter book series, written by Jeff Lindsay, as well as the television series of the same name, where he is portrayed by American actor Michael C. Hall, and by Devon Graye, Dominic Janes, and Maxwell Huckabee as a youth. Dexter is an American television crime drama mystery series that aired on Showtime from October 1, 2006, to September 22, 2013. Set in Miami, the series centers on Dexter Morgan, a forensic technician specializing in blood spatter pattern analysis for the fictional Miami Metro Police Department, who leads a secret parallel life as a vigilante serial killer, hunting down murderers who have slipped through the cracks of the justice system. 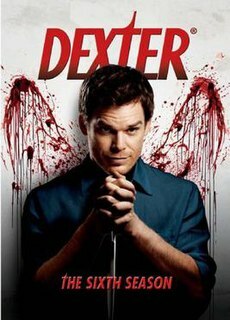 The show's first season was derived from the novel Darkly Dreaming Dexter (2004), the first of the Dexter series novels by Jeff Lindsay. It was adapted for television by screenwriter James Manos, Jr., who wrote the first episode. Subsequent seasons evolved independently of Lindsay's works. Sacred Heart Academy is an all-girls Roman Catholic high school in Louisville, Kentucky. It is located in the Roman Catholic Archdiocese of Louisville. Sacred Heart Academy was founded in 1877 and is a sponsored school of the Ursuline Sisters of Louisville. It has been named a Blue Ribbon School of Excellence twice and is an International Baccalaureate (IB) World School. It first achieved International Baccalaureate (IB) World School status in 1997. It is one of only two schools in the city and the only Catholic school in the state to offer IB. The Juilliard School is a performing arts conservatory located in the Lincoln Center for the Performing Arts on the Upper West Side of Manhattan, New York City. Established in 1905, the school trains about 850 undergraduate and graduate students in dance, drama, and music. It is widely regarded as one of the world's leading drama, music and dance schools, with some of the most prestigious arts programs. In 2016, QS Quacquarelli Symonds ranked it as the world's best institution for Performing Arts in their inaugural global ranking of the discipline. Arthur Asher Miller was an American playwright, essayist, and a controversial figure in the twentieth-century American theater. Among his most popular plays are All My Sons (1947), Death of a Salesman (1949), The Crucible (1953) and A View from the Bridge. He wrote several screenplays and was most noted for his work on The Misfits (1961). The drama Death of a Salesman has been numbered on the short list of finest American plays in the 20th century. Carpenter first attracted critical attention for her performance in The Exorcism of Emily Rose . She took home the 2006 MTV Movie Award for 'Best Frightened Performance', and also received a 'Hollywood Life Breakthrough Award'. She was also named 'Breakout Performer' at the 2006 Scream Awards. 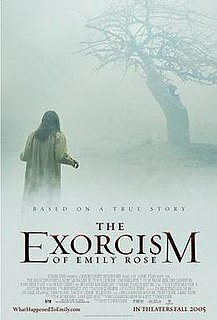 The Exorcism of Emily Rose is a 2005 American supernatural horror trial film directed by Scott Derrickson and starring Laura Linney and Tom Wilkinson. The film is loosely based on the story of Anneliese Michel and follows a self-proclaimed agnostic (Linney) who acts as defense counsel representing a parish priest (Wilkinson), accused by the state of negligent homicide after he performed an exorcism. The Scream Awards were an award show dedicated to the horror, sci-fi, and fantasy genres of feature films. Originally only having Scream Queen and Heroic Performance awards for actors, the personnel awards have expanded to include actors and actresses of all three recognized genres. Comic books awards were also given and have been recently expanded. It was broadcast on Spike and has been branded in the past as the Spike TV Scream Awards. Subsequently, the show was relabeled simply Scream with the respective year, i.e. Scream 2009. The show was created by executive producers Michael Levitt, Cindy Levitt, and Casey Patterson. In 2008, she also starred in Quarantine , an American remake of the 2007 Spanish horror film [REC], about a deadly zombie virus outbreak in an apartment complex. Quarantine is a 2008 American found-footage horror film directed and co-written by John Erick Dowdle, produced by Sergio Aguero, Doug Davison, and Roy Lee, and co-written by Drew Dowdle, being a remake of the Spanish film REC. The film stars Jennifer Carpenter, Jay Hernandez, Columbus Short, Greg Germann, Steve Harris, Dania Ramirez, Rade Sherbedgia, and Johnathon Schaech. A remake is a film, television series or some other form of entertainment that is based on an earlier product and tells the same, or a very similar, story. REC is a 2007 Spanish found footage horror film co-written and directed by Jaume Balagueró and Paco Plaza. The film centers on a reporter and her cameraman covering a firefighter intervention in an apartment building in Barcelona. As the situation escalates, after some of the building's occupants show animalistic and murderous behavior, the reporter and cameraman find themselves confined inside the perilous building. Jackson Gregory Marx, known as Jack Marx, is an Australian journalist and author. He was born in Maitland, New South Wales. 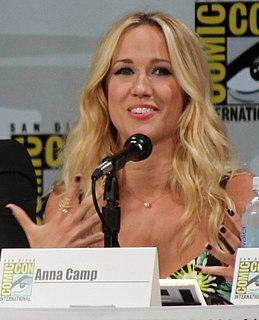 In January 2014, it was announced that Carpenter would star in a new ABC drama Sea of Fire, playing FBI Agent Leah Pierce. However, the show was not picked up as a series. In August 2014, it was announced that she would provide the voice of Juli Kidman in the survival horror video game The Evil Within ,  marking her first video game appearance. The game was released in October 2014. Carpenter started dating musician Seth Avett in 2013. On February 10, 2015, it was announced that the couple were engaged and expecting their first child. In August 2015, it was revealed that Carpenter gave birth in May to a son, Isaac, and admitted that she was eight-and-a-half months pregnant when shooting the pilot episode of Limitless . Carpenter and Avett married in May 2016. Michael Carlyle Hall is an American actor. He is best known for his roles as Dexter Morgan, a serial killer and blood spatter analyst in the Showtime series Dexter and as David Fisher in the HBO drama series Six Feet Under. In 2010, Hall won a Golden Globe Award and a Screen Actors Guild Award for his role in Dexter. The Avett Brothers are an American folk rock band from Concord, North Carolina. The band is made up of two brothers, Scott Avett and Seth Avett along with Bob Crawford and Joe Kwon. Mike Marsh (drums) and Bonnie Avett-Rini (piano) are touring members of the band. Jennifer Marie Morrison is an American actress, producer, director, and former child model. She is known for her roles as Dr. Allison Cameron in the medical-drama series House (2004–2012) and Emma Swan in the ABC adventure-fantasy series Once Upon a Time. She has also portrayed Zoey Pierson, one of Ted Mosby's love interests on the comedy series How I Met Your Mother; Winona Kirk, mother of James T. Kirk in the 2009 science-fiction film Star Trek; and Tess Conlon in the 2011 sports drama film Warrior. She made her feature film directorial debut with Sun Dogs (2017). Amy Spanger is an American actress, singer and dancer. "Dexter", or "Pilot", is the pilot episode of the first season television drama series of the same name, which premiered on October 1, 2006 on Showtime in the United States. The episode was written by developer James Manos Jr. and directed by Michael Cuesta. It was based on the opening of the novel Darkly Dreaming Dexter by Jeff Lindsay. The pilot introduces the series' protagonist, Dexter Morgan, a Miami Metro Police Department blood spatter analyst with a double life as a serial killer. While solving murders in the Homicide division, Dexter also spends his time hunting and killing murderers and criminals who have escaped the justice system. The pilot introduces the "Ice Truck Killer", a serial killer who targets prostitutes and leaves their bodies dismembered and bloodless, and the rivalry that develops between the killer and Dexter. "Born Free" is the twelfth episode of season one and first-season finale of the American television drama series Dexter, which aired on December 17, 2006 on Showtime in the United States. The episode also aired on May 4, 2008 on CTV in Canada; on May 14, 2008 on FX in the UK; on September 28, 2008 on Channel Ten in Australia; and on March 21, 2011 on STAR World in India. The episode was written by Daniel Cerone and executive producer Melissa Rosenberg, and was directed by Michael Cuesta. Based on the novel Darkly Dreaming Dexter by Jeff Lindsay, the season featured many differences to the original source, mainly in the lead-up to and revelation of the identity of the "Ice Truck Killer". The episode received critical acclaim. Roxanne Hart is an American actress, best known for her roles as Brenda Wyatt in the 1986 film Highlander, and as Nurse Camille Shutt on the CBS medical drama series Chicago Hope (1994–1998). Hart also received Tony and Drama Desk Awards nominations for her stage works. Yvonne Jaqueline Strzechowski, known professionally as Yvonne Strahovski, is an Australian actress. She is best known for her roles as CIA Agent Sarah Walker in the NBC spy drama series Chuck (2007–2012), Hannah McKay in the Showtime drama series Dexter (2012–2013), and CIA Agent Kate Morgan in the Fox event series 24: Live Another Day (2014). She currently stars as Serena Joy Waterford in the Hulu drama series The Handmaid's Tale (2017–present), for which she has received a Primetime Emmy Award nomination. "Return to Sender" is the sixth episode of the first season of the American television drama series Dexter, which first aired on November 5, 2006 on Showtime in the United States. The episode was written by Timothy Schlattmann and was directed by Tony Goldwyn. In the episode, Dexter Morgan investigates a murder scene where one of his own victims has returned after he disposed of the body. Meanwhile, his girlfriend Rita Bennett tries to prevent her husband Paul from attending their daughter's birthday party, and Lt. María LaGuerta considers adopting a young witness of the murder whom she finds at the crime scene. "Love American Style" is the fifth episode of the first season of the American television drama series Dexter, which first aired on October 29, 2006 on Showtime in the United States. The episode was written by Melissa Rosenberg and was directed by Robert Lieberman. In the episode, Dexter Morgan hunts down Jorge Castillo, a human trafficker and murderer. His sister, Ofr. Debra Morgan, attempts to extract information from a security guard whose limbs were amputated by the "Ice Truck Killer". Anna Ragsdale Camp is an American actress and singer. Timothy Seth Avett is one of the lead singers and founding members of the American folk-rock band The Avett Brothers. Avett sings and plays guitar, drums, and piano for the band based out of Concord, North Carolina. In 2008, their album, The Second Gleam, reached the number ten spot on Billboard.com's Top Independent Albums chart, and stayed there for three weeks. 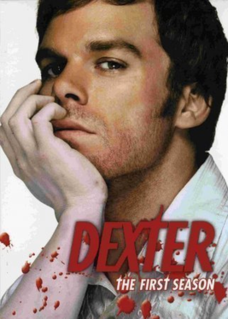 The first season of Dexter is an adaptation of Jeff Lindsay's first novel in the Dexter series, Darkly Dreaming Dexter. Subsequent seasons have featured original storylines. 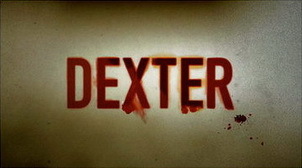 This season aired from October 1, 2006 to December 17, 2006, and follows Dexter's investigation of "The Ice Truck Killer". Introduced in the first episode, "Dexter", this serial killer targets prostitutes and leaves their bodies severed and bloodless. At the same time, Dexter's foster sister, Debra Morgan, a vice squad officer, aspires to work in the homicide department, and Dexter's girlfriend, Rita Bennett, wants their relationship to be more intimate. Christian Camargo appears as Rudy Cooper and is a recurring character until the end of the season. The third season of Dexter premiered on September 28, 2008, and ended on December 14, 2008. "Our Father", the season premiere, attracted 1.22 million viewers in the United States, making it Showtime's highest-rated drama season premiere since Nielsen Media Research began compiling ratings in 2004. The season's finale, "Do You Take Dexter Morgan?" attracted 1.5 million viewers. Season three was watched by an average of 1.1 million viewers a week. It received largely positive reviews from critics, which ranged from being praised as "truly and incredibly exciting television" in the San Francisco Chronicle, to "lack[ing] the crackling tension the drama had supplied in previous years" by the Chicago Tribune; the aggregate site Metacritic scored the season at 78 out of 100 based on 13 reviews. Smits and Hall received Emmy nominations for their roles as Miguel Prado and Dexter Morgan respectively, while the show as a whole also received a Best Drama Emmy nomination. The sixth season of Dexter premiered on October 2, 2011 on the television cable network Showtime, and consisted of 12 episodes. The season follows Dexter's and Miami Metro's investigations into a string of bizarre ritualistic killings featuring overtly religious apocalyptic symbolism. On November 18, 2011, it was announced that Dexter had been renewed for two more seasons. "What's Eating Dexter Morgan?" is the third episode of the eighth season of the Showtime television series Dexter. The episode originally aired on July 14, 2013. It was directed by Ernest Dickerson and written by executive producer Lauren Gussis, who have both worked on the series for several years. "Remember the Monsters?" is the series finale of the Showtime television series Dexter. It is the 12th episode of the eighth season, and the 96th episode of the series overall. The episode, which originally aired on September 22, 2013, was written by Scott Buck and Manny Coto, and directed by Steve Shill. Limitless is an American comedy-drama television series based on the 2011 film of the same name, which originally aired on CBS from September 22, 2015, to April 26, 2016. It stars Jake McDorman as Brian Finch, who discovers the power of a mysterious nootropic drug by the name of NZT-48. This drug unlocks the full potential of the human brain and gives its user enhanced mental faculties. ↑ "Jennifer Carpenter: Biography". TVGuide.com. Retrieved December 24, 2011. ↑ "Walden Theatre". Retrieved December 24, 2011. ↑ "Alumni News". Juilliard School. March 2010. Archived from the original on November 11, 2011. Retrieved April 8, 2012. ↑ Wilson, Gemma (January 28, 2011). "What's Up, Jennifer Carpenter? The Gruesome Playground Injuries Star on Not Having a Backup Plan". 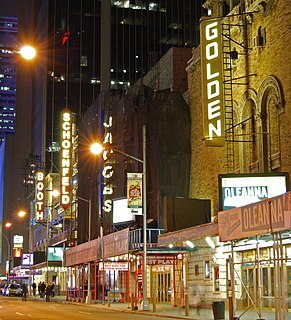 Broadway.com. Retrieved April 8, 2012. ↑ Marx, Jack (July 4, 2008). "Something About Dexter". News.com.au. Retrieved November 10, 2008. ↑ Gemma Wilson (January 28, 2011). "What's up, Jennifer Carpenter? The Gruesome Playground Injuries actress on not having a backup plan". Broadway.com. Retrieved February 26, 2013. ↑ Ileane Rudolph (November 15, 2011). "First look: Jennifer Carpenter on The Good Wife". TV Guide. Retrieved February 26, 2013. ↑ Lesley Goldberg. "'Dexter's' Jennifer Carpenter to Star in ABC's 'Sea of Fire'". The Hollywood Reporter . ↑ "The Evil Within's voice cast features 'Dexter' and 'Watchmen' stars". Polygon.com. Polygon. Retrieved August 27, 2014. ↑ Nellie Andreeva (March 12, 2015). "Jennifer Carpenter To Co-Star In CBS Pilot 'Limitless'". Deadline Hollywood . Retrieved November 17, 2015. ↑ Michael Ausiello (June 9, 2015). "CBS Premiere Dates For Fall 2015: 'Supergirl' Launches after 'Big Bang'". TVLine. 1 2 Dos Santos, Kristin (January 9, 2009). "Michael C. Hall and Jennifer Carpenter Are Married". E! Online . Archived from the original on August 14, 2011. Retrieved December 14, 2010. ↑ Snierson, Dan (December 13, 2010). "'Dexter' stars Michael C. Hall, Jennifer Carpenter file for divorce (EW exclusive)". Entertainment Weekly . Archived from the original on December 15, 2010. Retrieved December 14, 2010. ↑ "Jennifer Carpenter Cries Over Michael C. Hall Divorce at Dexter Event". Us Weekly. 2013-09-13. Retrieved 2018-01-04. ↑ "Michael C. Hall Divorce Finalized: Who is 'Dexter' Star Dating Now?". International Business Times. December 7, 2011. Retrieved April 27, 2013. ↑ "Michael C. Hall and Jennifer Carpenter Divorce 2011: Why Did 'Dexter' Co-stars Split?". EzineMark. 1 2 Takeda, Allison (August 10, 2015). "Jennifer Carpenter Welcomes First Child With Fiance Seth Avett". Us Weekly . Retrieved August 23, 2015. ↑ "Seth Avett and Jennifer Carpenter Welcome First Child". People . August 10, 2015. Retrieved August 23, 2015. ↑ Cliff Wheatley (March 14, 2014). "Avengers Confidential: Black Widow and Punisher Review". IGN. Wikimedia Commons has media related to Jennifer Carpenter .